When I presented this topic to a local company, I started by asking, "How many of you tend to feel an afternoon slump? Maybe you start to feel a drop in your energy around say, 2 or 3 o'clock?" For some reason, I expected just a handful of hands to go up. To my surprise, every single hand in the room went up, many with a chuckle, implying 'ah yeah. of course.'. Energy seems to come up in many of my counseling sessions. Some know right off the bat that they feel tired throughout the day, they're running on caffeine or don't have energy by the time they get home. Others don't seem to notice a lack of energy until they improve their eating habits and all of a sudden don't know where all their energy came from. A boost in energy is a huge reason people report just 'feeling better'. Feeling energized, feels good, doesn't it? And it often ties back to food. There are many reasons you may feel the afternoon slump. It could be stress related, a lack of sleep, limited exercise, boredom, and even your food choices. But wellness is a cycle. Sleep, stress, nutrition, fitness, mental health - they're all connected. When we take care of ourselves in one area, we tend to take better care of ourselves in other areas too. The opposite is true to. When we neglect one area, other areas can fall by the wayside. Have you noticed when you exercise you want to eat healthier food? Or when you're stressed or tired do you tend to eat more or crave greasy, sugary foods? Below are 5 ways to boost your energy with nutrition, scroll all the way down for 9 nutrients to boost brain power and prevent fatigue. A lot of busy people tend to skip meals. Some do this intentionally because they think it will help them lose weight, while others get caught up in meetings and to-do lists all day long. I would recommend you try not to do this. Your brain needs a constant supply of glucose and fat. Glucose (sugar/carbohydrates) are used for a quick source of energy. Fat provides a a more sustained source of energy because it is not broken down as quickly as carbohydrates. Fat also provides the most energy per gram and therefore goes to the brain and heart first before tackling it's other responsibilities. When your body isn't getting enough fuel (i.e. you skip meals or restrict your intake) your body is working to conserve the energy it has, making you feel tired. On the other hand, overeating also makes the body work harder causing you to feel lethargic. Heavy, dense, or greasy meals may make you feel like this. Have you noticed? Start by eating something for breakfast. It sets the tone for the whole day. Even if it's an energy bar as you run out the door, a banana in the car, or a yogurt at your desk - give your brain a boost of energy right off the bat. Get something in mid-day for lunch. Again, this does not need to be an elaborate sit down meal (although actually taking a break and clearing your mind can also improve productivity), but whatever you have time (or make time) for will work. Pack peanut butter crackers, an apple and string cheese, a sandwich, or leftovers for something easy to keep you fueled. Dehydration can make you feel tired or cause headaches. Keep a water bottle with you during the day, especially during warmer weather or if you're an especially sweaty person. Aim for 8 8oz glasses per day. If you don't like water, try sparkling or flavored water or try adding fresh or frozen fruit. Alcohol decreases the effectiveness of neurotransmitters and blocks oxygen from getting into cells. While research is a bit mixed as to how alcohol consumption effects our brain health long term; a 2017 study showed that those who drink, even moderately, have smaller hippocampi than non drinkers. Drinking can also affect sleep quality, which is huge for productivity! Current science shows that we can safely consume 3-4 cups of coffee per day. However, caffeine affects everyone differently and research is still mixed on how it can affect our long term health. Caffeine can temporarily enhance your memory, alertness, and cognitive function, but it also suppresses your appetite. 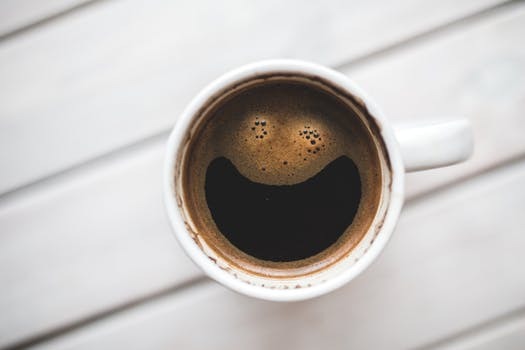 When you're feeling tired and reach for another cup of coffee, your body may actually be asking for fuel. Sometimes a snack or meal is really the boost of energy your body needs. When the caffeine wears off, you often still feel tired and possibly even more hungry. Caffeinated drinks also often carry other added ingredients, like cream, sugar, artificial sweeteners, or processed ingredients. Many of these ingredients can spike your blood sugar and energy temporarily but cause a crash in energy shortly after. When we feel that afternoon slump, we often go for 'airy' types of snacks. But, things like chips, cookies, and pretzels can just leave us feeling more hungry. By combining these snacks you crave with another food group or a good source of fiber, protein, or healthy fat will slow the digestion, stabilize your blood sugar, and boost your energy and brain power. Choose carrots and hummus, whole grain crackers and guacamole, slices of cheese with grapes or an apple, or Greek yogurt with berries. They key is to combine two food groups for a more filling, satisfying, and nutritious snack.